It is great to report that it seems the management of this excellent pub have taken heed of comments. 28 beers on today and whilst I could not start to list them all, there were at least 5 FIVE traditional bitters, not citrus, available. 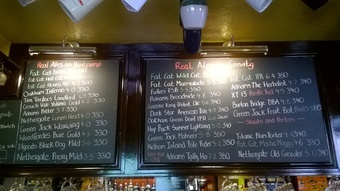 2 were national standards, Adnams bitter and TT landlord, but the other 3 all of which were in top condition, were fab. Old school detention, Lacons legacy, Colchester no. 1. Well worth a visit, even more so now! 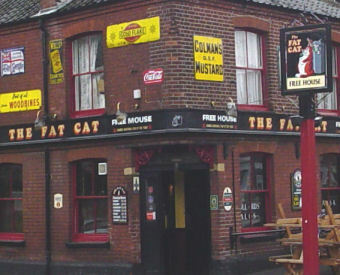 The Fat Cat has to be one of the best pubs in the world let alone in the UK. As more than one reviewer has mentioned, it is astonishing that its rating is only 7.6 - which just goes to show how reliable these ratings are (note to self: Always take internet user ratings with a pinch of salt and don't let it deter me from giving a pub/hotel/b and b/restaurant etc a go to make up my own mind. This pub has a fabulous range of beers only surpassed by large CAMRA beer festivals, and it is friendly and welcoming as well. My rating is 9 out of 10 (I never give maximum marks to anything). Gosh this place is unbelievable. So many beers on, 30 I think and at £3 a pint. Friends and us tried a lot and all were spot on. One of THE must visit places for beer in the whole country. I don't remember giving a place a 10 before. 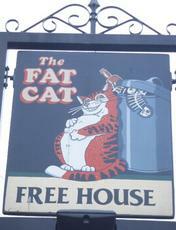 Possibly the best pub I've ever been to. 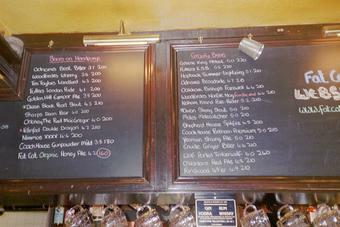 Superb variety of ales including dark and strong ones.